The Ada County Highway District ended 2018 with accident and injury metrics that were low and in some cases nominal when compared to last year. Historically much of the work that is done by ACHD can present the opportunity for safety-related injuries and accidents for ACHD staff. But in recent years, ACHD Director Bruce Wong has placed a greater emphasis on the need for safety throughout the agency. As a result, year end metrics for 2018 show there were zero time-loss injuries in 2018 – a first for the District. The total cost of the injuries for the agency was also 94% lower--$8,073 in 2018 as opposed to $130,030 in 2017 and 98% lower at $350,000 in 2014. "Safety is at the heart of everything we do here at the Ada County Highway District," said Wong. "We don’t believe in shortcuts, and every team member here has safety protocols that they must follow. Any member of the team can stop an operation at any point if they believe those protocols aren’t being followed." Every member is properly trained on equipment before being given the keys. 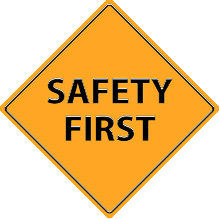 And if leadership within the Highway District begins to see a trend with accidents and safety incidences, they hold a safety stand down; a time set aside for leadership to refresh team members on proper technique and safety protocol. "At the end of every day, we want to send all team members home in the same or better condition than when they came to work that day," said Wong. "These numbers tell us that our high safety standards are working to help ensure that happens."